The 3-Day Refresh is a simplified cleanse to refresh your body and digestive system if you have fallen off track. It will help you build your fat-burning metabolism back up to peak performance. By nourishing your body and helping you break the cycle of bad eating habits post holidays, vacations, or weekend parties! The Ultimate Reset helps you feel invigorated, lose weight, and get back on track to better health in 21 days. Throughout the three weeks we will dive deep into reclaiming your system, releasing toxins & bad habits, and restore your ENTIRE system back to a healthful state & mindset. This gentle, no-starvation cleanse helps restore your body to its optimal "factory settings," so you can feel and look healthier than before all while building lasting healthful eating habits. Alongside one-on-one support from me, and access to my online Motivation & Support community you will receive EXCLUSIVE access to my favorite yoga program during the entirety of your cleanse too! Gain strength & flexibility with 80 Day Obsession, plus access to hundreds of world-class workouts on Beachbody® On Demand for a FULL year. Your bundle also includes a 30-day supply of Shakeology, my portion-control system, equipment including sliders and resistance (booty burning) bands, and access to my exclusive virtual Raising Wellness Motivation & Support Community, alongside one-on-one coaching with me! 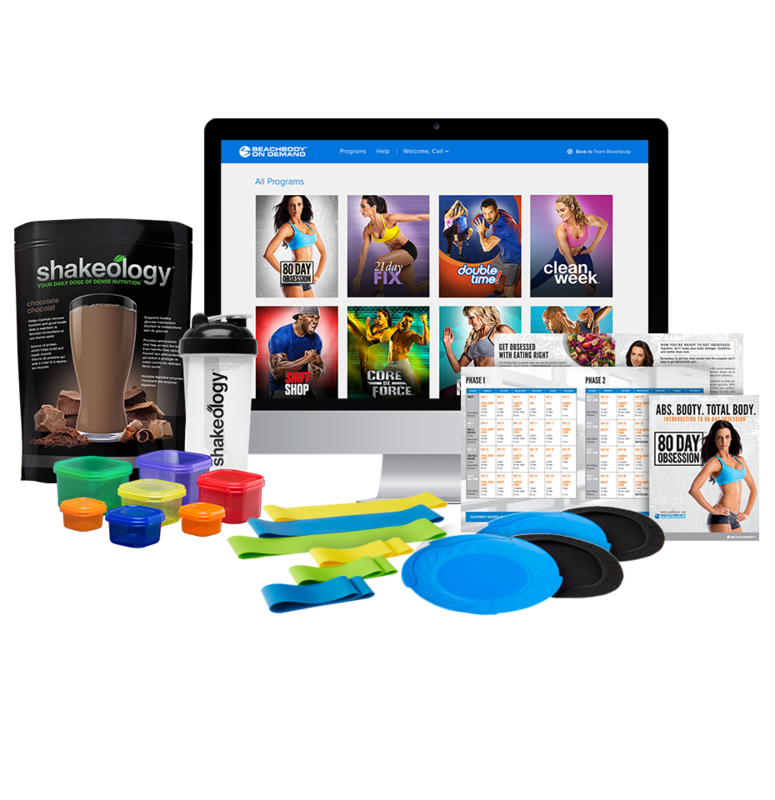 Lose weight happily without feeling hungry or deprived with the 2B Mindset & Beachbody On Demand & Shakeology Challenge Pack! Both nutritionally satisfy your body and caste away guilt or shame from your weight loss & wellness routine. Your bundle includes the 2B Mindset Kit, plus your first 30-day supply of Shakeology, access to hundreds of world-class workouts on Beachbody On Demand, and access my exclusive virtual Raising Wellness Motivation & Support Community, alongside one-on-one coaching with me!